You can have all the education in the World, but nothing beats hands-on, nitty gritty experience. It is so easy for students to get caught up in the day-to-day, studying for a test, or writing a paper, or completing other various assignments. When this happens, very little information is retained. Especially in the business and marketing field. However, one company has created a new approach to teaching business and marketing concepts. StartX has developed several robust marketing a business simulations that drastically enhance students’ retention rate. We had a chance to ask Stephanie Zanon, the Licensing Director for StratX, a few questions about the simulations. 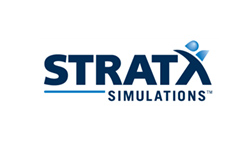 StratX Simulations designs business simulations for Education and Management Development. Steeped in experiential learning, our simulations teach Marketing, Strategy, and Innovation concepts to an audience of students and executives looking to master new skills or update their skill set. Our simulations encourage teams to look beyond the status quo for insight and ideas. Tell us about the simulations. StratX Simulations is the market leader in Marketing & Strategy simulations, with over 500 universities worldwide offering courses featuring our simulations. The StratX approach reinforces competitive thinking and market understanding. Each simulation clearly reflects the impact that a sudden competitive move or a change in customer needs can have on a company. StratX uniquely prepares students for the real world with its accessible, entirely-online platform. Our highly-recognized Markstrat simulation has been used by over 1 million in over 30 years. – Markstrat, our Strategic Marketing simulation, developed by Larréché/Gatignon (INSEAD), widely used in top business school for the past 30 years. – BrandPRO, New! Introduces brand strategy in core marketing courses and can be played in three hours. Successfully-implemented in Executive & MBA programs at top business schools like IMD and INSEAD. – Blue Ocean Strategy Simulation (BOSS), designed in partnership with the co-authors of Blue Ocean Strategy, INSEAD Professors Kim and Mauborgne, a great way to master BOS methodologies and tools. Instructor tools are straightforward and deliver a way to monitor teams’ progress in real-time. Our tools get students excited and highly competitive, and games can get intense. Our recognition goes beyond academic institutions. Companies such as L’Oreal have asked us to develop simulations to reflect the realities of their markets. What pushed the company towards education? With StratX Simulations, students participate in their own understanding and development, and they are able to gain valuable real-world experience without real-world costs. When participants have the chance to learn from their mistakes in a simulated environment, they are far less likely to make the same errors when the costs are real. In fact, experiential and simulation-based learning have proven to be more effective than traditional forms of learning. Push out information at students during a lecture, and they will remember an average of 5% of the information. Allow them to discover concepts for themselves though, and students retain up to 80% of lessons. StratX uniquely prepares students for the real world – they are informed on how to make key marketing and strategy decisions, and therefore better able to understand how to succeed at competition. Jean-Claude Larréché, Alfred H. Heineken Professor of Marketing at INSEAD, founded StratX over 30 years ago. He currently serves as founder and chairman. We have a cross cultural team with complementary competences in sales and development. We are always in the process of improving our serious business games – and developing new ones. Our team has very specific competences in marketing, modelization, and pedagogy. We are always on the look-out for customer feedback to answer market needs and anticipate future expectations. We seek to improve experiential learning, and our company is here to help professors boost the delivery of their courses and offer top-quality pedagogical learning experiences. We would like to thank Stephanie for taking the time to answer our questions. For more info, head over to StratXsimulations.com.